In the previous two parts of this blog series we talked about building loyalty and relationships by thanking consumers for their positive reviews of your business. This type of positive dialog and reciprocal appreciation are the fundamental building blocks of any trusting relationship. Part One covered the value of writing an immediate Thank-You response to your consumers’ positive reviews. Part Two covered the second opportunity to thank your customers for a positive review – during their next return visit. This third and final blog post will build on the first two parts by thanking customers yet another time (Yes, again!) for their willingness to actively promote their positive experience with friends and family on their social networks such as Facebook. 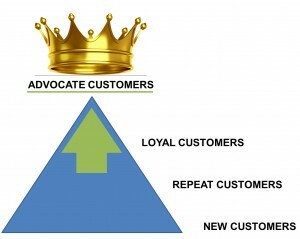 These types of customers are the most valuable marketing asset your business can possibly have: Advocate Customers who voluntarily share their positive experience with others (see What Are Advocate Customers? – bottom of page). To have the ability to thank a customer for sharing their positive review of your business, you first need to be aware that it happened. 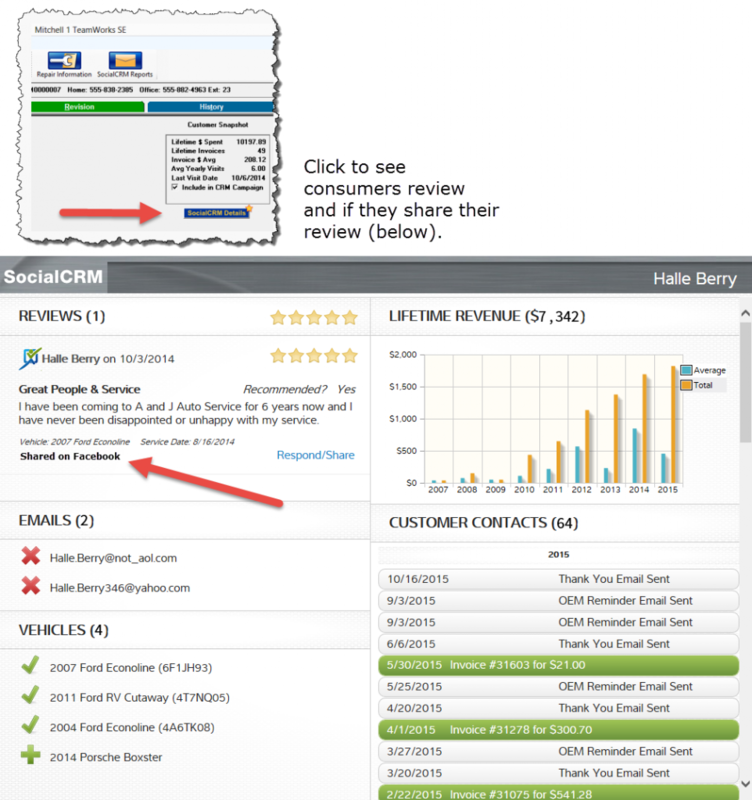 This can be accomplished in two ways: The first is by way of an email notification that can be setup in your SureCritic.com review system, and the second is by looking at the Mitchell 1 SocialCRM Details screen for information regarding the specific customer. Turn on, or ask your Mitchell 1 SocialCRM Support Agent to turn on, your Social Notifications emails so that you automatically receive an email whenever your customers share their positive review with friends and family. Look at the SocialCRM Details screen and look for the social share notification text “Shared on Facebook” (see graphic below). These valuable customers are a unique breed of customers that find it enjoyable and even relaxing to share their opinion online! They find all this activity enjoyable, even relaxing! Next:Can’t Think of Anything to Post on Your Shop’s Facebook Page?